After three years as Director of Swedish Research Institute in Istanbul, I now return to my position as professor of Central Asian Studies at Stockholm University. At the same time, I’m happy to say that my cooperation with the Institute will continue in a close and concrete manner. An agreement has been reached between my University, the Research Institute and The Royal Swedish Academy of Letters, History and Antiquities, stating that my future research work is to be carried out in Istanbul on materials from The Gunnar Jarring Central Eurasia Collections at SRII. This work will be integrated in the Stockholm University SIPCAS program (Stockholm International Program for Central Asian Studies) and conducted within the general framework of “Silk Road Studies in Memory of Gunnar Jarring”. The broader SIPCAS program was established at Stockholm University some 10 years ago, with initial funding from the aforementioned Royal Academy of Letters and Swedish Foundation for International Cooperation in Research and Higher Education. Extensive international partnerships for the exchange of students and scholars have been developed. In this context, my mandate as SRII Director, 2012–2014, has been an extraordinary experience for further international cooperation. I have also had the pleasure of working for an expansion of the SRII agenda from the point of view of both geography and research topics as well as student activities. After a “travelling seminar” to south-eastern Turkey (http://srii.org/Page/the-srii-research-environment), a follow-up workshop was organized on 15–16 December this year under the title of “From a Cradle of Civilization to a Globalizing Transit Region: Migration and Cross-Border Identities in South-Eastern Turkey” for the purpose of initiating research projects on different topics relating to this theme and in connection with a joint network founded by the representatives of four Nordic academic institutions, including the SRII, for studies on “Migration, Identity, Communication and Security in Turkey and Eurasia” (MICS; www.srii.se/mics). As a further development of activities at SRII/Istanbul and thanks to young students holding scholarships or working as trainees at the Institute, a new type of forum called “Today Talks” has been established for discussion seminars on sociopolitical issues in Turkey and neighboring regions. 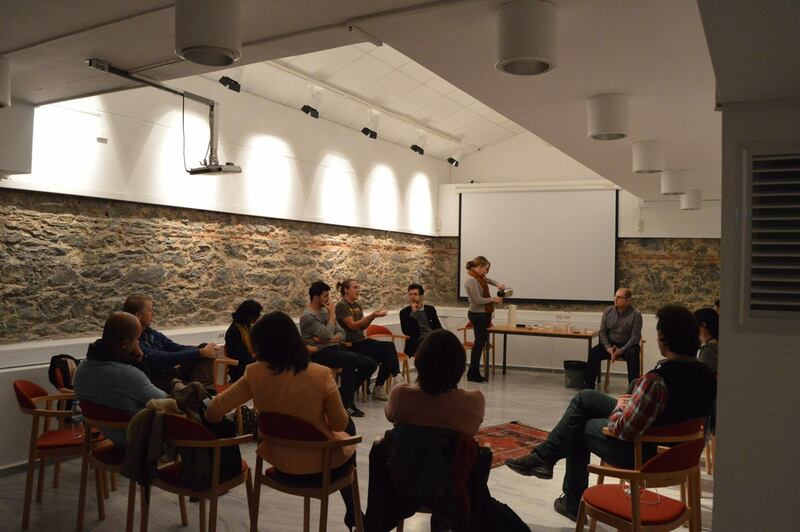 Today Talks on 29 November, 2014, organized by Azize Güneş, Gürkan Özturan and Aria Nakhaei for a discussion of “Gendered Pressure and Young Women in Turkey”. From 1 January, 2015, as a consequence of my new position, this blog will be renamed as “The SIPCAS Director’s Blog”, with due changes in orientation and subject matters. I wish all readers a HAPPY NEW YEAR.